Meeting communication expectations regardless of conditions. 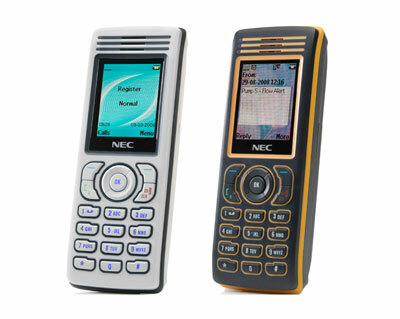 NEC’s I755 IP DECT industrial-use phone helps people communicate in potentially demanding/harsh environments such as healthcare, manufacturing, retail and warehousing. An especially robust handset, the I755 is highly durable and provides several call-control options and enhanced mobility features that seamlessly integrate with NEC’s advanced IP servers.